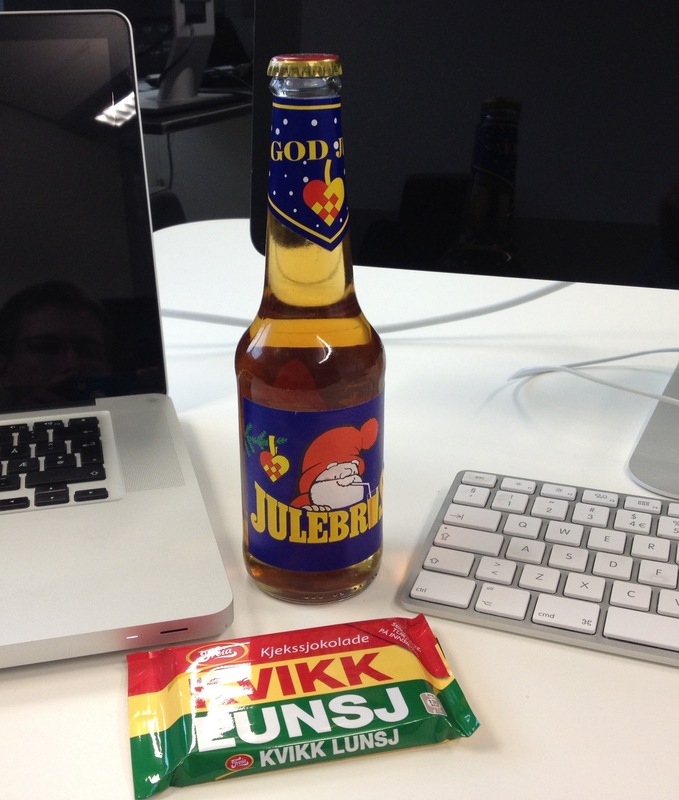 Somehow our office-canteen still get hold of this wonderful christmas-soda from Trondheim, it’s one of my favourites. This and the one from Hamar. So today I had a Christmas lunch, with the Norwegian Quick Lunch of course.